I was trying to think about what kind of pictures I like to take and it got me thinking. Do I have a style? Can my friends look at a picture and say, “I bet Andrew took that” ? When I have time to make a picture the way that I want to, I think I have more of a style than when it is a real-time situation that I need to capture (couple saying their vows, kids playing soccer, baby playing with a toy, etc). When I have time to setup a shot I think I tend to try to make things look epic. Not dreamy, not blown out, not contrasty or moody, but epic. Colourful, vivid, sharp, and epic. 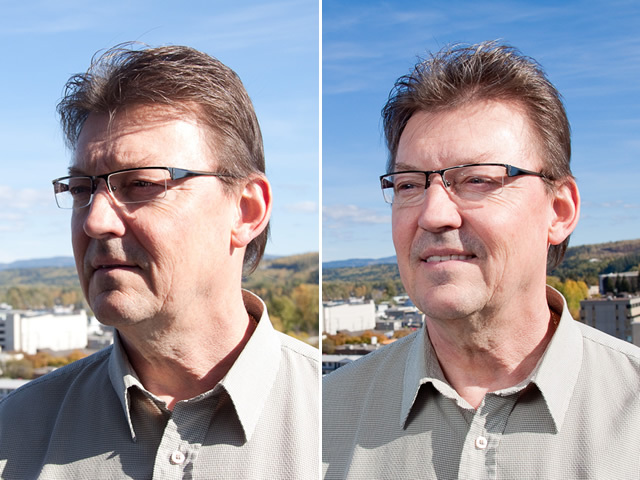 Here is a contrasting example: the first picture is a natural light shot….it’s posed, but it’s the kind of shot I would take if I didn’t have time to setup the shot the way I wanted. The second is a 2 minute setup and some adjustments on my camera to get what I want. Both pictures are good in their own right, but the second shot is the kind of shot I like to take. It’s just cool. When I don’t have time to setup a shot exactly how I want it to be, I have to take what I’m given and work with it…and that’s when I take photos that are a bit more “artsy” and stylized because I have to manipulate what I’m given to try and get something cool. I think most of the time when I am taking photos at events, I’m thinking in the back of my mind “you need to get the kind of pictures that other people can’t get”. I still get the safe shots first, but then I try to see things from a different angle, try to find an interesting framing of a subject, or try to capture a moment that others might miss. If I can get the shots that no one else can get, then my pictures are worth something because they are unique. I’m sure my style will develop more over time, but that’s how it is right now.